This and previous posts demonstrate that I need to improve my photography skills. 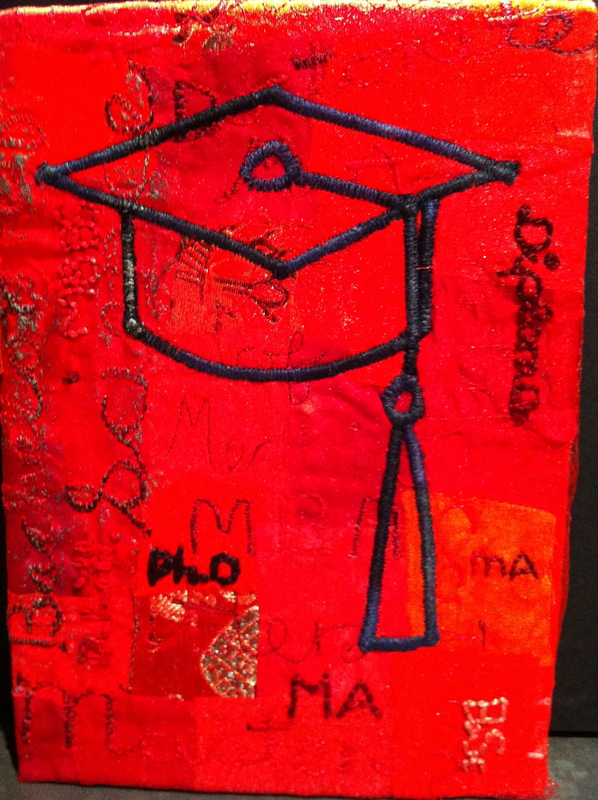 LetteRED has a background of small torn pieces of fabric overlaid with very fine red nylon gauze held down with free motion quilting using words associated with higher education – hence the LetteRED man. Also has hand embroidery and some “Treasure Gold in aquamarine to highlight. The mortar board derives from a non-copyright image on Google. 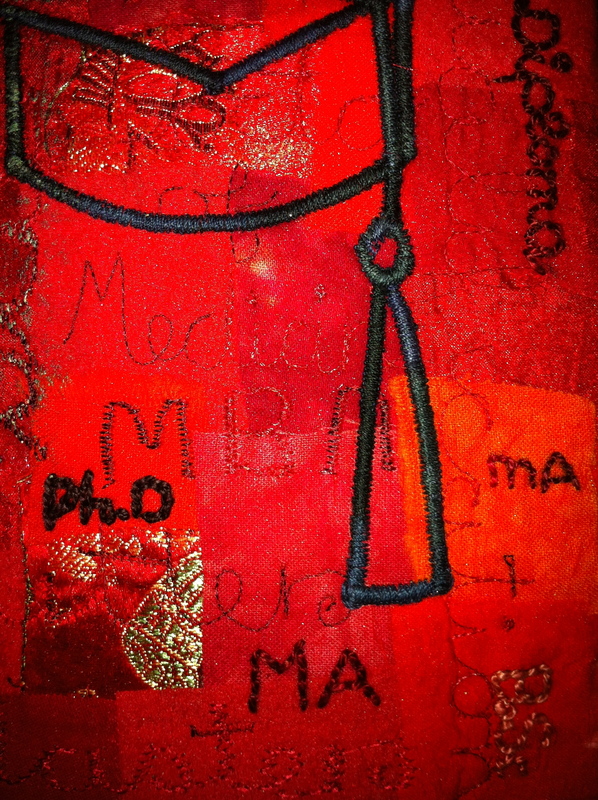 This entry was posted in fabric collage, Hand embroidery, Machine quilting. Bookmark the permalink.